Department of ECE takes every step possible to help the students better perform academically. A faculty member is appointed as a counselor for every 20 students to mentor, and monitor their daily attendance, internal and external marks. Remedial classes are conducted to those who need additional help. 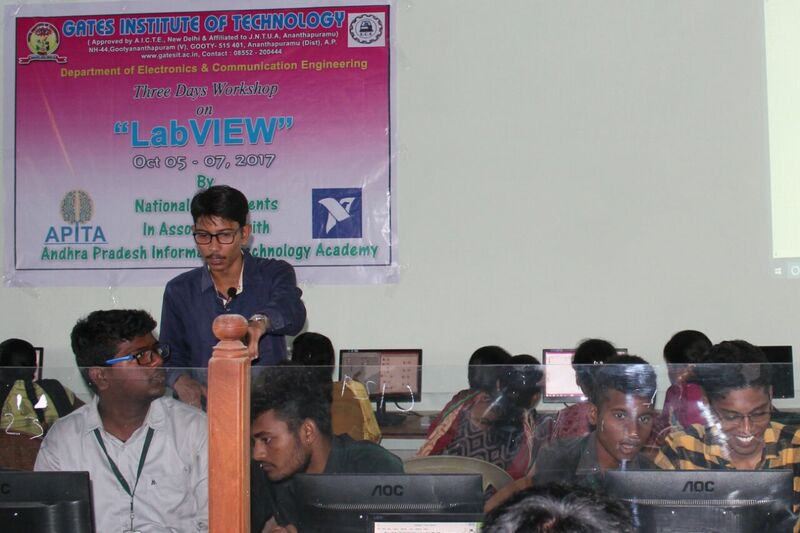 Along with the regular academic work department takes up many co-curricular activities that provides a platform to the students for applying their knowledge and creativity in the field of electronics. 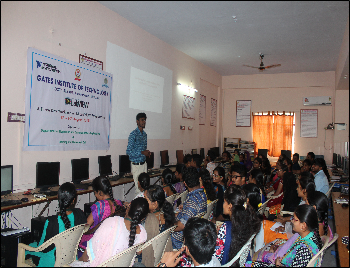 Department of ECE regularly conducts workshops and Seminars and Guest lectures by eminent speakers in the area of Electronics. 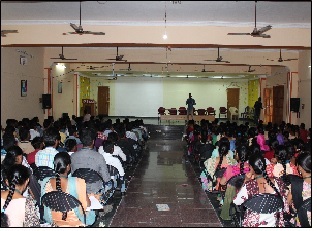 Every year Department of ECE organizes a National Level Technical Symposium. At the Symposium competitions are held in, Paper Presentations, Poster presentations, Working Model Presentation and Technical Quiz. Students from all over the state participate in this event. Below is the list of events recently conducted by Department of ECE. Resource person: B.Nagaraju,D.Chandi Rani,D.Pratyusha - APSSDC. Resource person: V.Jeejesh Kumar, National Instruments. Resource person: T.R. Balaji,Application Engineer- National Instruments, Bangalore. Resource person: David Rajendra Reddy, Design Verification Engineer Cadence, Bangalore. Resource person: Dr.B.Abdul Rahim, Professor Dept.of ECE, AITS, Rajampeta. 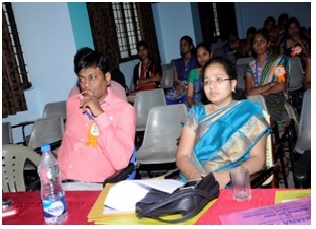 Dr.G.Mamatha,Assistant professor in ECE department, JNTUA Anantapur, invited as a judge for the ECE programme. 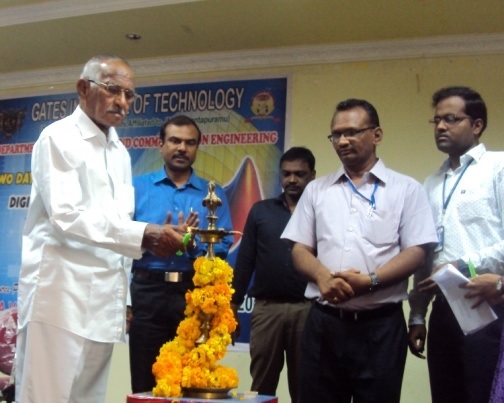 Chief Guest:H.Sudharshan Rao Professor, JNTUACEA, Anantapuram. 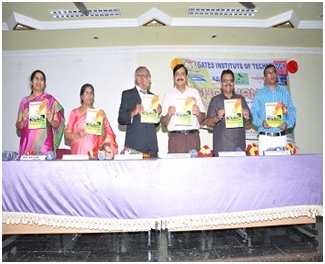 Dr.A.V.Paramkusham ,Sastra Micro Systems, Hyderabad.